In the area of Uusikaupunki city Vakaa-Suomen Puhelin, the local telecom company, is building a fiber optic network to residental areas. The thick black network trunk cable is brought as an undergroung cable or as an aerial cable to the outerwall of the house. Vertek Oy is the subcontractor for the network installation. 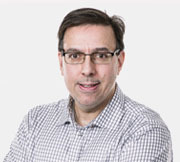 Vertek's installation manager Aki Salo says that the rest cabling route to the indoors is easier to install using a thinner and more flexible indoor cable, because the cabling path can be narrow and winding. Ivory colored and flame-resistant cable also looks better. 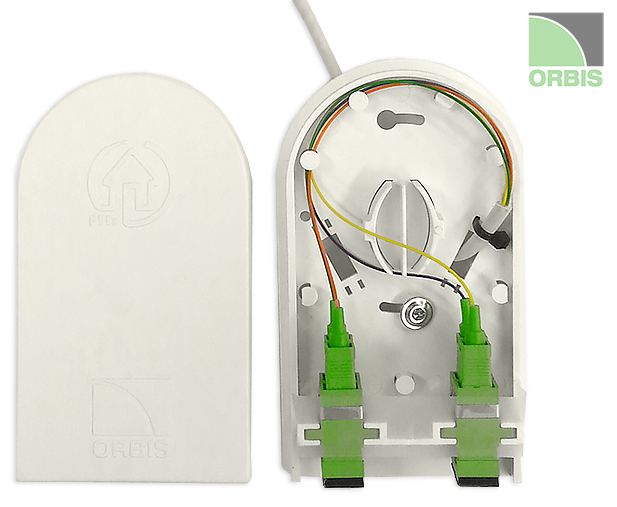 On the one end of the cable is an FTTH box in which at Orbis's factory connectors are assembled and they are installed to the adapters. The other end of the cable has a free 30-meter-long tail, which is spliced to the trunk cable in the outer wall. For the advantages of semi-assembled box is that there is no need to handle the optical fiber in the apartment. For example, pieces from cable's peeling can be dangerous for kids or pets, who keenly are wondering the installation process. "In addition, industrially manufactured quality is sure to be just as good, if not better, than scplicing made in the living room" - Salo says about installation conditions. The product has been working perfectly, the end-customer and installer are satisfied with the result.